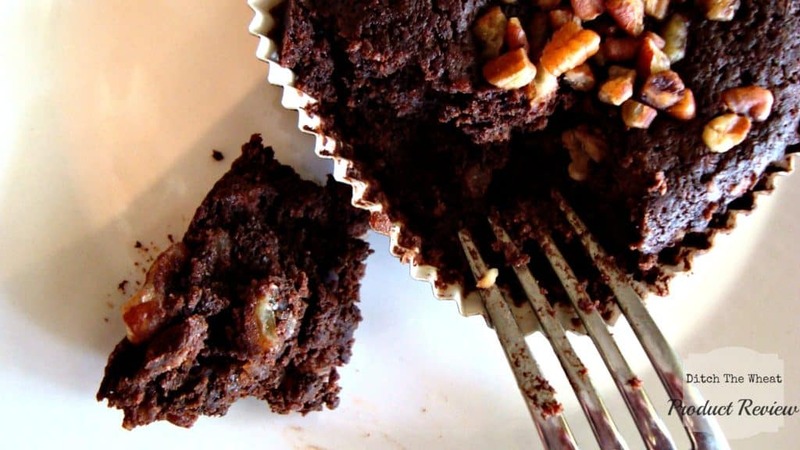 Disclaimer – This is a non-sponsored review of Paleo Treats. All opinions expressed are mine. I received their product free of charge for a review on my blog. Paleo Treats prides itself on using real ingredients and keeping those ingredients to seven items or less. Their products are sweetened with honey instead of sweeteners. Paleo Treats was kind enough to not just send me a sample of 3 of their product lines but 4 of each of those products. I felt like a kid at Christmas when I opened up my package and discovered that. I have spent the whole week testing out this product for you. It’s been hard eating brownies, and chocolate goodies but someone had to do it! Since I ate them throughout the week I tested out the freshness. There are no preservatives in the snacks. The product took 5 days to ship from San Diego. The day I received them I tried them out. How could I resist them they looked so tempting. AMAZING!!! The brownie was so fresh and moist. Throughout the week I ate a couple more Brownie Bombs which I stored in my fridge as instructed by Paleo Treats. I never found that the brownie dried out. At the end of a week of taste testing I had 3 leftover of each product line so I put them in the freezer which Paleo Treats recommends if you would like to keep them longer them the suggested 30 days refrigerated. I shared these goodies with my family. We probably all experienced the unwelcomed comments when we made a dessert/snack that is low carb, gluten free and served it to friends and family to receive “icky, this is bland. This needs some sugar!” I reply with “what are talking about? 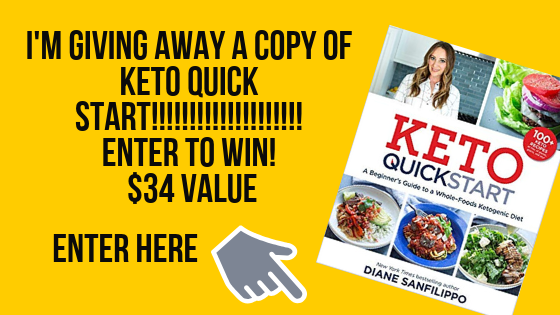 This is too sweet!” I tested the product out on my parents who do not eat low carb/gluten free. We all ate it for the first time together and I really wished I had videotaped their responses. There were so many “oh my, this brownie is sooooo delicious and moist!” My mother liked the Mac Attack the best, and my father preferred the Cacao Now!. Feel good about sharing these products with your guests. This chocolate goodness needs to be renamed to “Chocolate Fudge Sin”. It looks are deceiving. At first glance it would seem it is solid chocolate with goji berries, pistachios, raisins, and almonds scattered throughout but it is not! When you bite into it the middle is soft and fudge like. I loved it! If you like coconut this one is for you. As we all know I love coconut! Coconut with double the chocolate is even better! 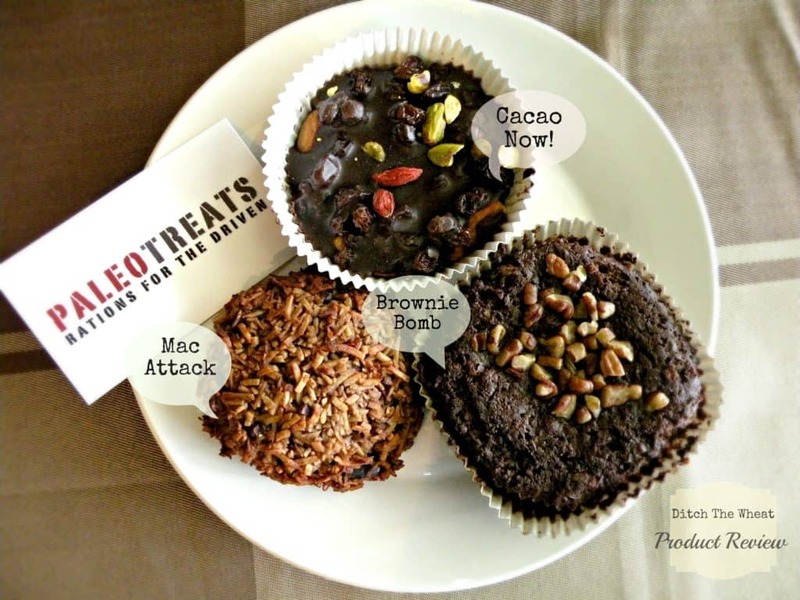 There are cacao bits throughout the Mac Attack. What I like about this item is that the chocolate is not overpowering. 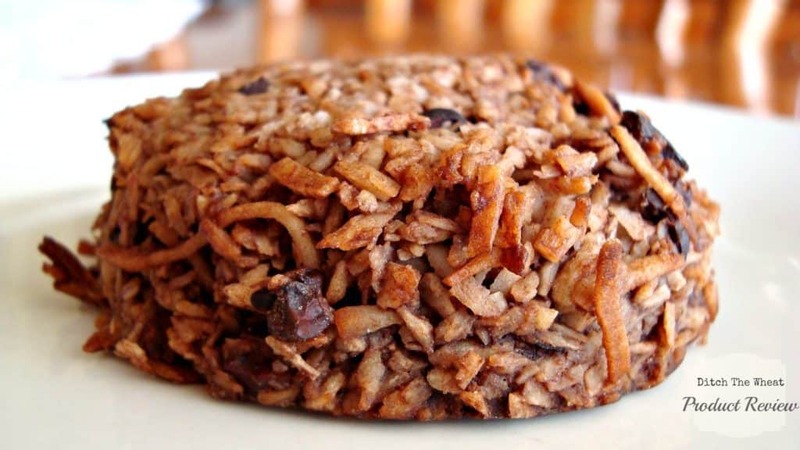 It is the perfect blend of coconut flavour and chocolate. The Mac Attack holds together very well when you are eating it. I saved my favourite for last. I enjoyed ever bite of this brownie! It’s made from good stuff like almond flour, coconut oil, and cacao. This brownie is better than “regular” brownies! It truly is a treat to indulge in from time to time. 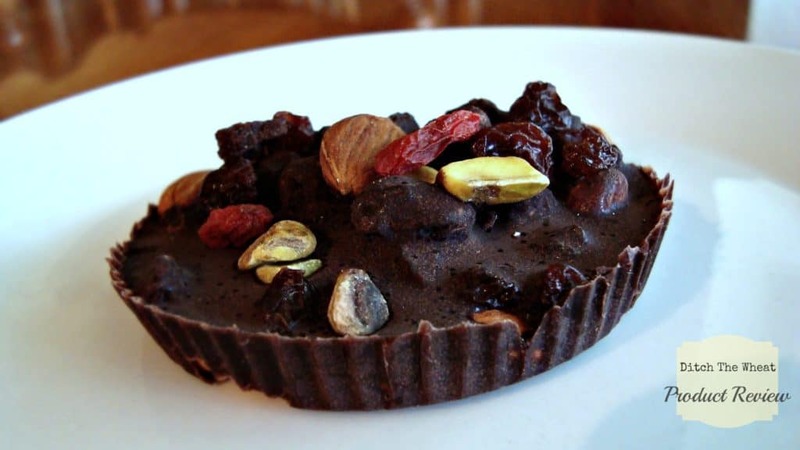 Checkout out Paleo Treats, like their Facebook page, and try out their products. Hey, I’ve came across this post with bing. Good write-up, going to add this blog to FeedDemon right now. Thanks! I enjoyed eating the treats!!! They tasted amazing!